This Grade II listed detached extensive residence, with additional cellar space, could be adapted. 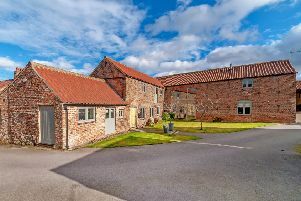 It includes a central entrance lobby and hall, sitting room, dining room, shower room, kitchen and utility room, Victorian conservatory links to a ballroom at the rear. There are four first floor double bedrooms with two bathrooms, while on the second floor is loft storage which could be adapted. There is a driveway with parking and double garage and landscaped gardens. Contact Feather Smailes Scales on 01423 534183.